Roundstone Records - supporting Chris Meehan and His Redneck Friends. Roundstone Records was set up primarily to promote the artist Chris Meehan and His Redneck Friends. The band are next playing on Friday 3rd November, 2017 (Doors 8 30pm) at the D.C. Club 20 Camden Row , Dublin 2 (Tickets at www.musiclee.ie), and on Saturday 4th November at 8pm in the Glor Theatre, Ennis, Co. Clare ( Tel. 065 6843103). The Band were live on stage at last year's Water Music Festival in Carrick-On-Shannon, Co. Leitrim. Chris Meehan and his Redneck Friends is a band that embraces country music in all its many forms. 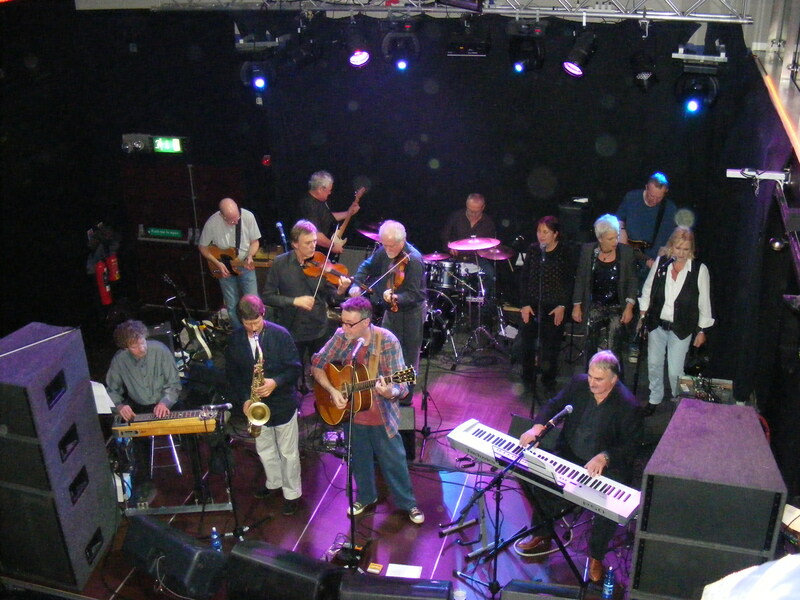 The line-up consists of Chris Meehan, piano/vocal, Bobby Kelly, acoustic guitar/vocal, Eamon Murray, tenor sax, Brian Harris and Francie Lenehan, electric guitars, Percy Robinson, pedal steel guitar, Matt Cranitch ,fiddle, Gerry O’Connor viola/mandola, Ronnie O’Flynn, bass and Mick O’Connor,drums. The band, now augmented by three backing vocalists, baritone saxophone and a stunning guest vocalist in Michele Rayfus, also returned to performing in 2009/10 with knockout performances at the Ranelagh Arts, Sligo Live and Johnny Keenan Banjo festivals. 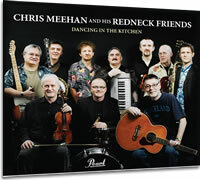 "Chris Meehan and his Redneck Friends is the perfect festival band embracing many forms of music, including Cajun, Western Swing and a large helping of rock n' roll.... They line-up reads like Irish Music's hall of fame" - Rory O'Connor, Festival Promoter, Sligo Live. "We found the band refreshing and exciting.... They captured our audiences' attention and their hearts" - Chris Keenan and Kathy Casey, Promoters of the Johnny Keenan Banjo Festival. "The band had the crowd hollering for more at their gig in Mount Pleasant Tennis Club during the Ranelagh Arts festival. A very exciting evening. There is always a great welcome for Chris and the band here in Ranelagh" - Terry Connaughton, Artisitic Director, The Ranelagh Arts Festival. This is a joyful love letter testifying to a devotion to country and blues from a bunch of rusty old geezers who clearly never have lost their gra for the music. Well marshalled by noted Nashville producer Jim Rooney, sharp pianist and legal eagle Chris Meehan and his crew skilfully negotiate country waltzes, western swing, cajun craic, jump blues, jazz and American standards coloured by a dizzying array of sharp solosby the likes of guitarists Francie Lenehan and Brian Harris, steel guitarist Percy Robinson and sax and harp wizard Eamon Murray. Meehan's song selection is bang on, ranging from the playful Diggy Liggy Lo to Percy Mayfield's profound Please Send Me Someone To Love. This is an Irish album that, with some flourish, nails the essence of Americana. "Chris Meehan's characteristic exuberance is detectable right through this colourful collection of Country Music. There is a great natural feel to the songs and the recording carries the stamp of Jim Rooney's fresh, no nonsense production. Performed with affection and altogether charming, listening to it is a pleasurable journey" - Donal Lunny, Planxty, The Bothy Band and Moving Hearts. "As fine a bunch of musicians and entertainers as you're ever likely to hear" - Matt Molloy, The Chieftains, Planxty and The Bothy Band. © Roundstone Records 2019. All Rights Reserved.